Two police men along with a Doordarshan cameraman were killed on Tuesday in a Naxal attack in the state of Chattisgarh which is under code of conduct. 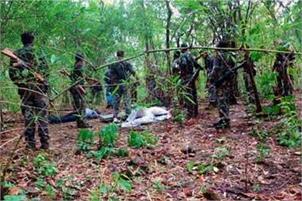 The attack took place in Dantewada district. Two police men were also injured in the incident, which occurred in Nilawaya village under the Aranpur police station. "Those killed were identified as Sub Inspector Rudra Pratap, Assistant Constable Mangalu and DD News cameraman Achyutanand from Delhi," Deputy Inspector General (anti-Naxal operations) Sundarraj P, said. Two security personnel were injured in the incident and added that reinforcement were rushed to the spot. Assembly polls in Chhattisgarh will be held in two phases on November 12 and 20.